Made from solid brass, the Zymbel candelabra features four concave discs that can be adjusted to form a dramatic way of both amplifying and reflecting light. The piece was designed by Samuel Wilkinson for Austrian brand Lobmeyr so that only one candle was needed but with the shifting discs, if feels like the light of many candles. 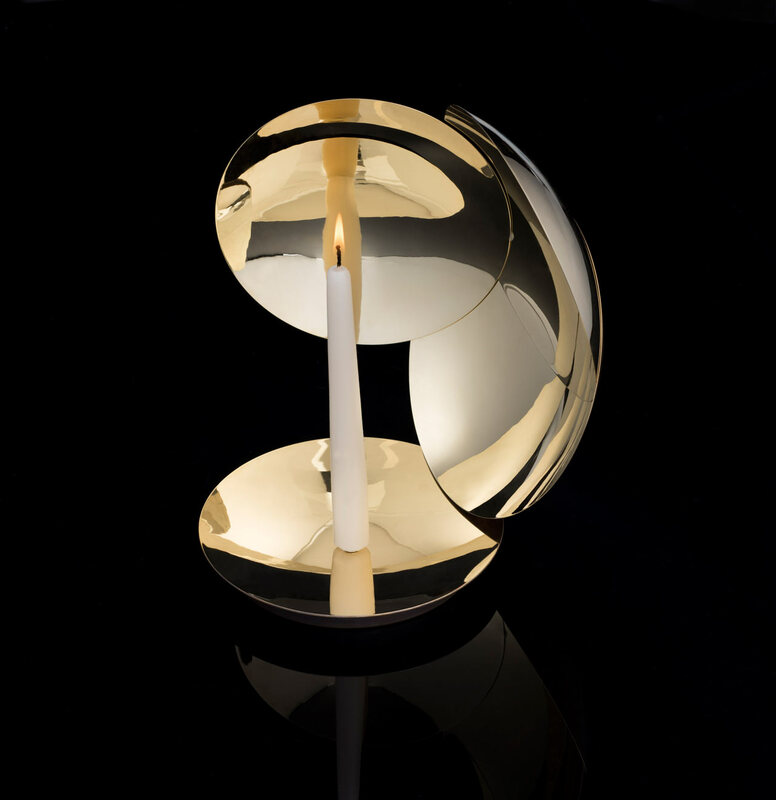 Besides the light changing depending on how the discs are arranged, the overall composition of the candleholder evolves as they rotate around in a spherical formation. A handmade butterfly nut on the back lets you reposition the cymbal-like discs, while a simple spike holds the candle in place making it appear to float. Each component is made by Lobmeyr’s craftsmen out of solid brass with a weighted base. Two of the discs are highly polished, while the other two are polished and then oil-rubbed for a more darkened look.